and get this for free! 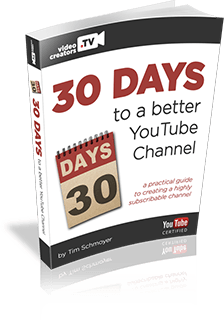 Training to master YouTube and spread your message! Subscribe! Weekly videos to help you grow an audience on YouTube. We share ideas, answer questions, and more. TUESDAYS: We review the previous week of online video news and what it means for us as video creators! WEDNESDAYS: We give you tips, tricks, and ideas for how to master YouTube and develop your audience! THURSDAYS: We answer your questions about YouTube, online video, and audience development! MONTHLY: We all get together for a LIVE hour of Q&A, channel reviews, training, and more! 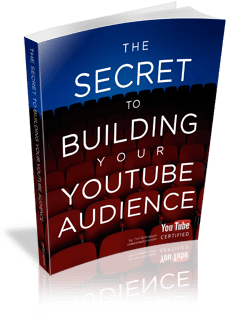 Get exclusive content about audience growth from us as well as this ebook, all for FREE!